My problem turned out to be power related. Whenever the TT3 would transmit, the voltage would drop to around 4.7v and it would reset. 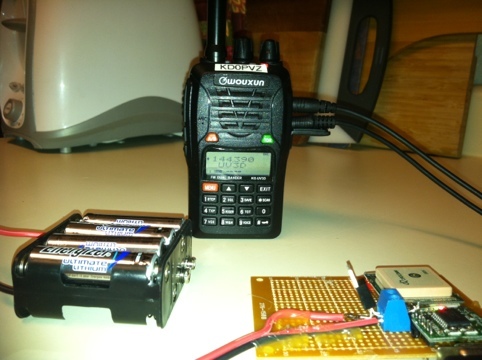 I added a LM7805 with 4 AA batteries, and it is working reliably now. 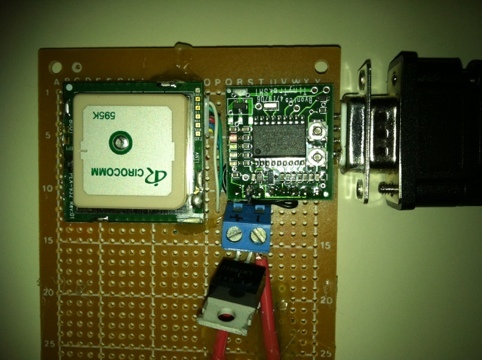 I also moved it from the breadboard to a circuit board so I can test it on the highway. 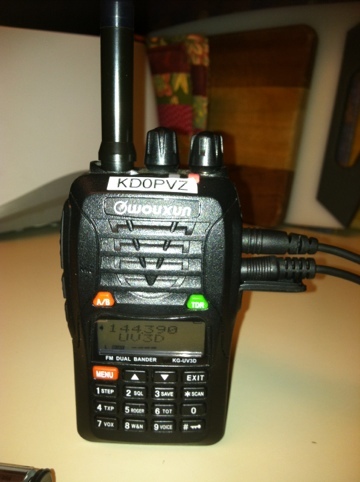 This entry was posted in N0BCB and tagged Wouxun APRS KD0PVZ. Bryan, I’ve got a UV3D that does the same thing. Locks in PTT and won’t pull down. I’ve got it powered with a LM7805. I cant seem to figure out what’s causing it. So, I’ve tested both a tinytrak3 SMT and a Tinytrak4 with the Wouxun UV3D, and neither will work correctly. Once the TT keys the PTT, the TT resets itself, or the radio goes into a constant transmit. I tested both with my Kenwood D72, and they work fine. It seems like there is a problem with my particular radio, since I’ve seen others who have had success.